Moms in T.O. – Alison Fletcher at Cookery | Kids in T.O. This westend mom went from a marketing executive to business owner in a matter of months. 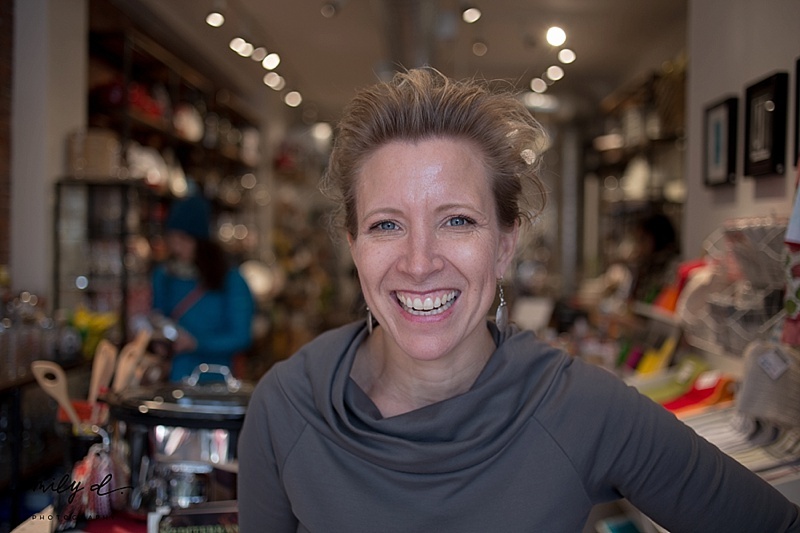 Alison is the owner of Cookery, a kitchen and cookware boutique and cooking school in Roncesvalles Village. The entrepreneurial gene runs in the family – her mom was in retail in her hometown of Timmins. Setting up shop on her own (a huge career shift that she explains to Emily D Photography) has let her spend more time with her family, connect with her neighbours and build an amazing space for wanna-be-chefs (even little ones!) to explore their love for cooking and baking. Here is what she loves best about Toronto. The holiday rush has me working long hours. I am incredibly lucky to have such a supportive partner who is more of a single dad during this busy time. So my two boys (10 and 7) and I plan things we can look forward to doing together. And, I bake a lot at night so they think of me during the day! Finding ways to connect with my 10-year-old who is growing up so quickly, getting him off the video games and finding stuff we can enjoy together. We spend a lot of time in High Park playing in the park or in the woods, going for an early morning run or walking through the zoo. It’s totally free and is a breath of fresh air in the city. A locally-roasted latte at Outpost Coffee on Dundas West, a mani/pedi at a local Roncy salon, picking up fresh produce at a local green grocer, cooking all afternoon for my sister’s and my family, a big meal and a warm fire.